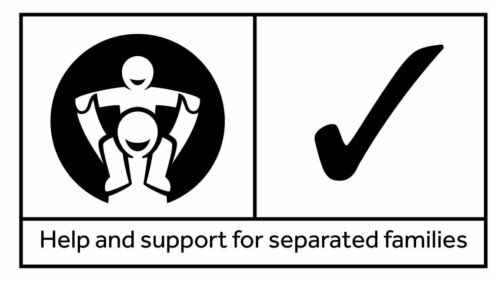 The FMC has just published the new standards and requirements for Child Inclusive Mediation practice and training WHICH COME INTO FORCE ON 1/9/18. Click here to view. This course has been approved by the Family Mediation Council (FMC). This one day course will bring you up to date with the changes and the new FMC standards. There is the requirement for ALL mediators to integrate elements of CIM into their regular practice and to be able to discuss with parents, from the Assessment meeting onwards, ways in which ‘the voice of the child’ may be heard. It will give you experience in understanding how CIM works in practice and how to approach CIM with parents, along with the opportunity to consider its benefits and when it may be inappropriate. The course will offer a range of input, discussions, role play and exercises. This Course is required for All none CIM mediators, accredited or not, including those who do NOT intend to qualify in CIM, as well as those intending to quality in CIM Practice AFTER 1/9/18. IF you are WORKING TOWARDS your FMC Accreditation and submit your portfolio before 1/9/19, you must attend the One Day CIM Awareness Course before your first re-Accreditation date. If you submit your FMC portfolio on or after the 1/9/19, you must attend a 1 day CIM Awareness course BEFORE you submit your FMC portfolio. IF you don’t intend to qualify and practice as a CIM Mediator, you still need to attend an CIM Awareness Course by 1/1/20, or your first post 2018 re-accreditation date, whichever is the later date. (The course can count as your annual CPD). You do NOT need to attend this CIM Awareness Course….you (along with those CIM Qualified) will be required to attend a different One Day CIM UPDATE Course, by 1/1/20 or your first post 2018 re-accreditation date, whichever is the later. There are also additional CPD and practice requirements for DCC/CIM Mediators from 1/9/18.